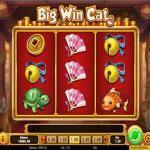 Big Win Cat is a video slot machine by Play n Go that is amongst the newest titles. The slot machine has a classic format of three reels, but nothing else about the game is typical. The video slot machine has 3D animations visuals and modern gameplay options and bonus features. 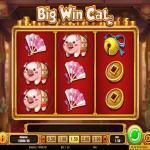 The slot machine, Big Win Cat, has five win lines, Wheel of Multipliers, a wild symbol and more. The video slot machine has a Chinese theme that is all about the luck totems of the Chinese civilization and culture. You can check out what this new Play n Go video slot has to offer you for fun here before you spin it for real cash. 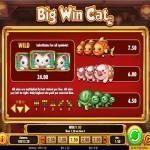 Big Win Cat by Play n Go is one of the latest slots of the developer. The new video slot machine has three reels, five paylines and three rows of symbols. Although at first glance the video slot machine might look like classic slot machines, when you pay attention, you will see that it has advanced visuals, 3D animations, bonuses and more. So get ready for a Chinese-themed gaming experience that you will not get enough of at Big Win Cat. Big Win Cat is a new slot machine by Play n Go that takes you on a grand adventure that has three reels with five-stake lines. The slot machine is playable across a multitude of devices. 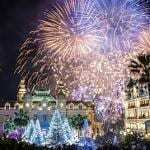 So whether you have a PC, a tablet, or a smartphone, you will be able to enjoy the video slot machine. 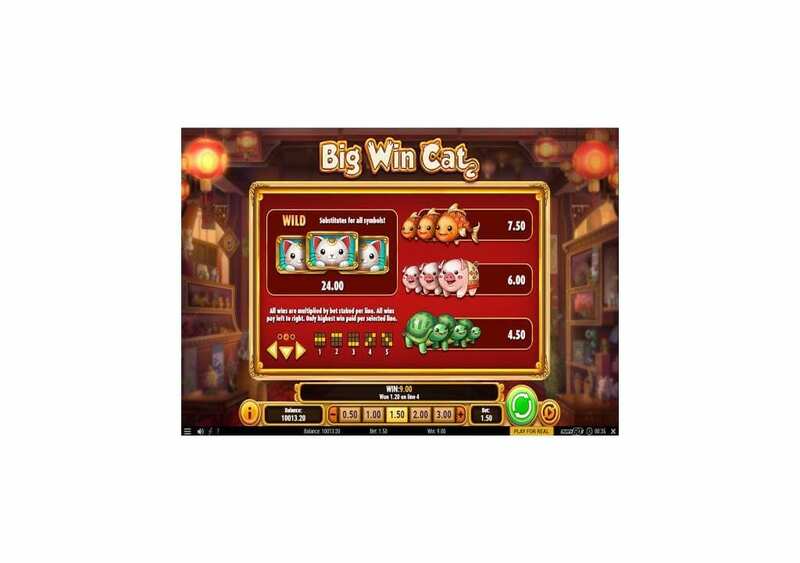 Big Win Cat also has an extensive betting range that you can play with a stake that is as small as 0.05 credits per spin up to 100 credits. The slot machine takes place in an Asian Novelty Shop and comes with many features and bonuses such as the Re-spin of Luck feature. The most significant payout that you can claim with multipliers can amount up to 800x the stake. The video slot machine has excellent visuals and animations, despite being a 3-reel slot machine. 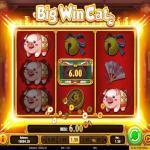 Big Win Cat is available here for free where you can spin it with free credits so you can see what the slot has to give you before playing it for real. Without the shadow of a doubt, the orient is exotic and full of great themes, and this is why many slot machines adopt an Eastern idea that takes place in the Far East. 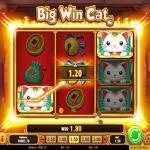 The slot machine that we have here, Big win Cat is one of those games, courtesy of Play n Go. The video slot machine invites you to travel to China where you will join a cute wild cat, that is here to help you claim big payouts. 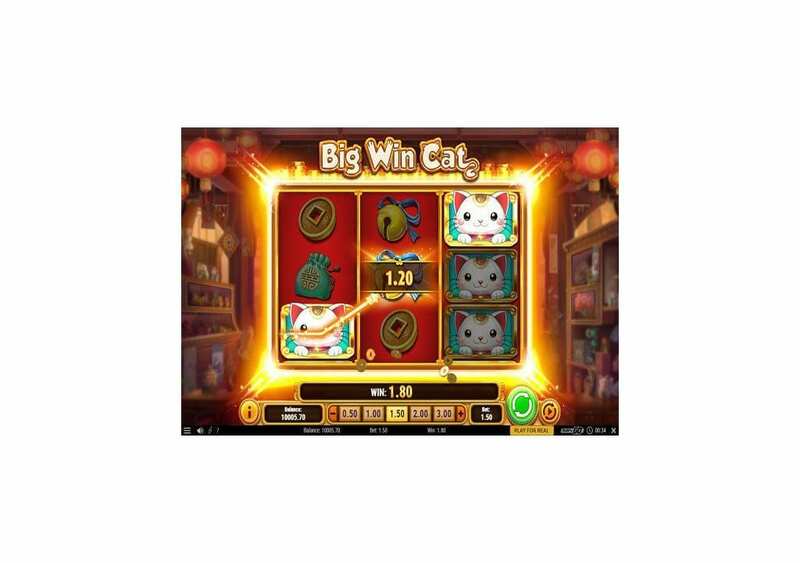 The Cat is one of the Chinese lucky totems, which explains why Play n Go picked Big Win Cat to be the title of the slot machine. 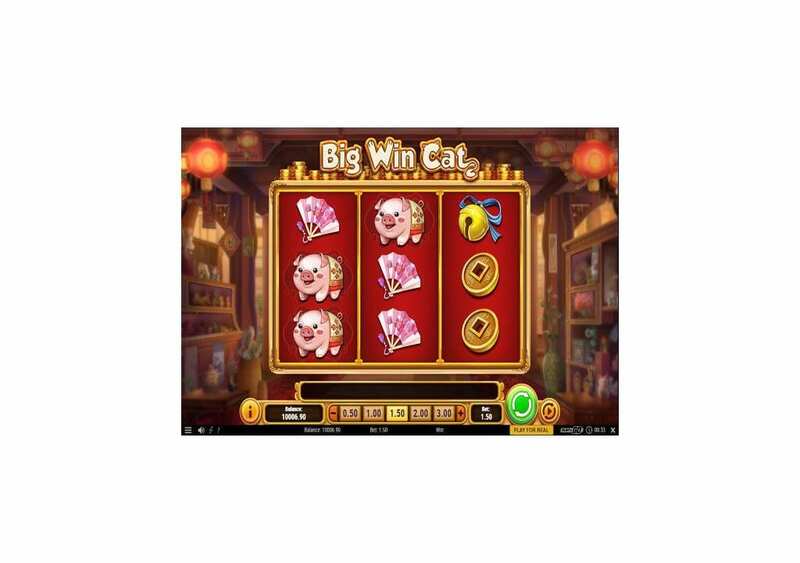 The video slot machine is not only about the cat, as it is also about the lucky charms and totems in the Chinese civilization. So you will see that the slot machine occurs in a Chinese shop, and you will find plenty of the Chinese lucky emblems as symbols and visuals, whether on the reels, or surrounding it in the background of the slot machine. 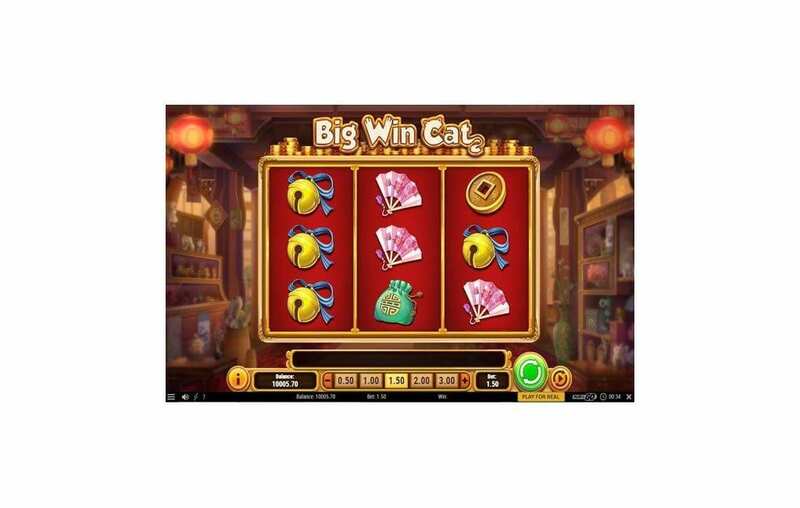 Big Win Cat by Play n Go has the format of a classic slot, as it has three reels with three rows of symbols that form the 3×3 grid of the video slot. These Reels and rows of symbols contain the five lines of the video slot machine that can result in high payouts and awards. You will see the control panel underneath these three reels of the game, where you will be able to choose the stake you want to place, spin the reels, control the autoplay feature, view the paytable and your balance. The slot machine takes places in the Chinese shop; Play n Go presents this Chinese store with beautiful visuals and animations that will bring the theme to life. You will see wooden shelves, Chinese paper lanterns, lucky Chinese charms and more. 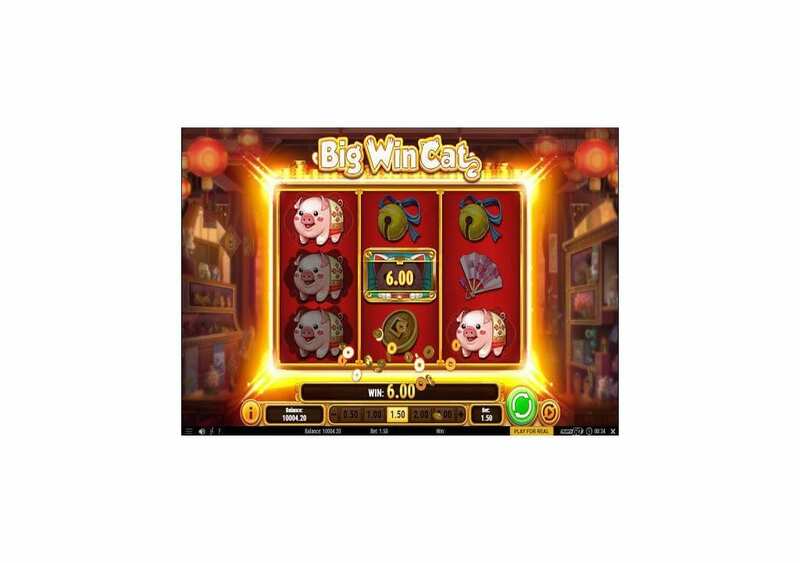 As for the reels of the slot machine, they come with a golden outline, and when it comes to the symbols that are going to be spinning across the Reels, they include the Big Win Cat, golden Chinese coins, the lucky piggy, the fish, the turtle and more. All of these symbols have cute animations that will certainly add life to the video slot experience that it has to offer you. 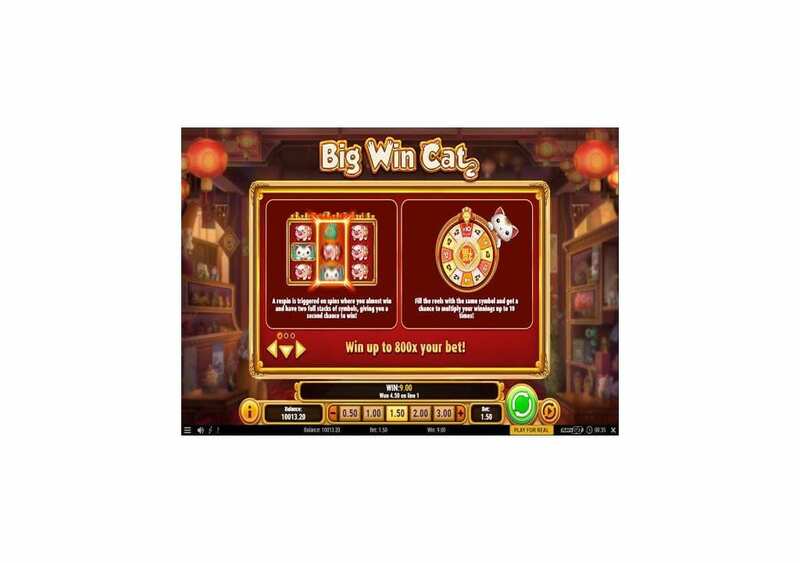 Big Win Cat by Play n Go is a slot machine that is full of high payouts and winning chances that you can claim whenever you decide to give the game a few spins. 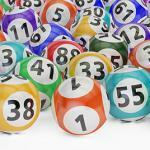 To earn a prize, you will need to get three matching symbols on the same pay line. The most significant award that you can earn through a payline is equal 1600 credits. You will be able to claim that prize when you get 3x of the wild Big Win Cat symbols on the same payline. To claim that award, you will need to place the most significant stake of 100. Since Play n Go is the developer behind the video slot machine, it does not come as a surprise that it comes packing plenty of features and winning chances that will make your experience at the game much more rewarding. 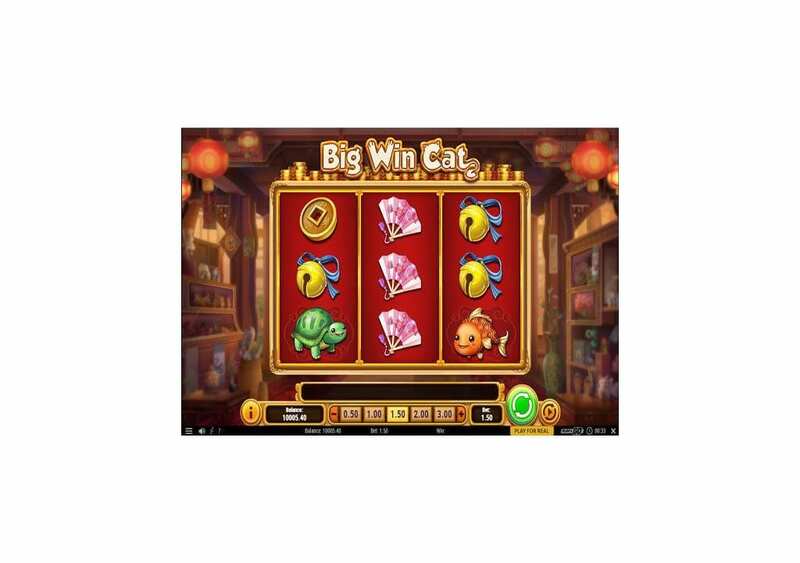 The Big Win Cat is the wild symbol of the video slot machine; this Wild is going to substitute for all of the other icons on the reels of the game to help you create a winning combo. The Wild symbol will replace the icon that is going to result in the most significant payout. Also, if you manage to get two similar stacks of symbols, and you almost create a winning combo, you will trigger a re-spin for another chance to claim a payout. Last but not least, if you manage to land the same symbol on all of the reels, you will be able to trigger the Wheel of Fortunes to trigger payouts that can amount up to 10x the payout.